Beef tenderloin is the most soft, juicy and tender part of a meat in cow which is actually a roast. It is more expensive than the ordinary meat due to its huge size. Hence people use them to cook only for special occasions and functions in their home like New Year or Christmas. It is one of the delicious varieties which are very good for everyone and its taste attract once you eat them. 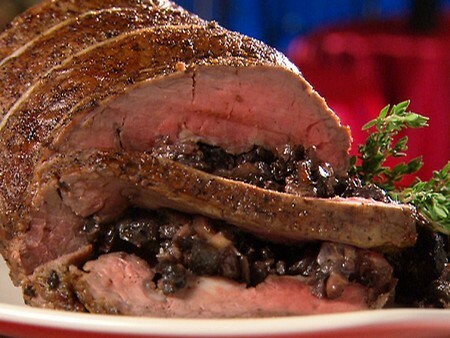 Everyone in your home ask you for preparing this roast again and again once they taste them. Roasting them with the help of your oven is very simple and it never gets wasted. If the prepared tenderloin left in your bowl, then you readily make them into sandwiches next day by keeping them in the refrigerator. The following tips help you in baking the beef tenderloin in your home. Get the tenderloin roast from the local markets or grocery stores and get a fresh one rather than the old one. You can check for the good tenderloin by pressing them. Get tender and soft tenderloin and don’t get the hard one. Get your frying pan from the kitchen and then cover its bottom by means of aluminum foil. If it is covered then it will be easier to clean the pan once you cook the tenderloin. If you don’t have the foil readily at home, you can also use cooking oil instead. Now set the over at 400 degrees and now you are ready to bake the beef. Allow the roast which you buy to cool so that it will get into the room temperature. There may be unwanted fat stuffs around the roast; you can readily trim them off using a sharp knife. Fatty stuffs are not good for health and leads to some diseases due to its accumulation inside the body. Take some garlic and black pepper in a bowl and mix them well. Then sprinkle some olive oil and this mixture on the surface of the roast. You should add the salt at the end in order to keep the juicy content of the roast since salt can dry your roast quickly. Now allow the mixture to get mixed well for about 15 minutes and then place the roast inside the baking pan in oven. You shouldn’t add the water in the beginning itself and keep them in middle rack of oven. Don’t cover the meat and cook for around an hour. Then take the cooked meat out and check for its state. If it is not cooked completely, then you can heat them for some more time. If it is fully cooked, now you are ready with the roast. Put the salt for taste and serve it to your family members. How to Go on a Diet without Affecting your Health!